We all know that soil is a key element of agriculture. Without it we wouldn´t be able to grow plants, which are used as food for both humans and animals. In this blog post I would like to focus a little bit more on the technical side of soil and explain some of its chemical and physical properties. There are different definitions of soil, depending on the approach we want to take. For us (from the agricultural point of view) it is an unconsolidated mineral or organic material that is on the surface of the earth in which we grow plants. From a geological point of view, we would probably look at how it was formed and what kinds of layers it has. As far as food is concerned it is important to study a couple of its properties that are fundamental for plant growth. There are two important aspects as far as soil properties are concerned. First we focus on its hydraulic conductivity, the ability of the soil to manage, hold and drain water. Second, we look at its nutrient management, which in addition to the above-mentioned factors analyzes the organic matter content, cation exchange capacity and coatings on sand grains. All the above-mentioned properties determine the texture of soil. Every soil is a mixture of three main components: sand, clay and silt. A very useful tool to verify a given soil texture is the soil textural triangle that you can see on the right. It shows you what kind of soil you are working on by taking into consideration the soil’s components. 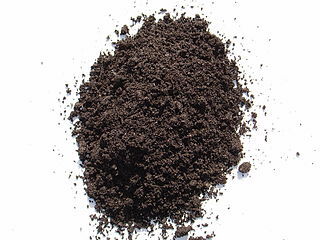 Loam is the most fertile type of soil and has a mixture of these components. For example, a more sandy soil will have a high hydraulic conductivity and a low water holding capacity. Water drains through sand very easily and if too much water enters this kind of soil it can lead to nitrate leaching which can be lethal to plants. Sandy soils need a special kind of irrigations systems. Most of farmers try to irrigate these soils many times throughout a day with small quantities of water. This helps the plants efficiently use the water supply without it washing away all the necessary nutrients. There are different solutions to enhance sandy soil performance. One of them is to add more of the organic matter content. The organic matter is a mixture of living and recently dead materials such as previous crop residue, livestock waste or simple organic matter, such as leaves. The organic matter does two things for our soil. It adds water holding capacity and nutrient holding capacity. You can envision this process by comparing organic matter to a sponge. Of course, there is a limit to how much of the organic matter you can introduce to soil. If there is too much of it, in addition to supplying plants with too much nutrients it will start oxidizing, which provides an additional supply of nutrients. Soils that have a higher percentage of clay will have a lower hydraulic conductivity and a high water holding capacity. Sometimes when there is a compacted layer of clay underground it can lead to flooding after heavy storms. Water does not have anywhere to go in such a short time, so its level goes higher and eventually floods our plants. Moreover a higher percentage of clay and silt in the soil will increase the cation exchange capacity. It is an ability of the soil to hold positively charged nutrients called cations (calcium, magnesium, potassium and ammonium–N). On our planet we have 12 different soil types known as orders. Each one of them needs a different treatment and farmers should know about these practices. How a farmer manages the farm can have crucial impacts on the environment. Unfortunately, many of the farmers are not familiar with the information mentioned in this blog. Many times, poor water management can lead to severe contamination of near by watersheds. We need to remember that farming is a complex process that also needs studying and a constant exchange of information. We encourage individuals, both farmers and non-farmers, to sign up for various online courses on Coursera. A free course on Land Misuse and Management can be accessed through here. Posted on June 13, 2013 June 13, 2013 by saynotofoodwastePosted in BlogTagged agriculture, food security, land misuse, local, organic. Next Next post: What is Food?